Reykjavik is most beautiful as it disappears in the rear-view mirror. The morning sun lights up the perfectly paved road and the only sound you hear is the quiet hum of your engine. This is the Golden Circle of Iceland. And the perfect way to do it is in your own car and in your own time. There’s a gorgeous highway that will take you to all the main sights, but there are hidden treasures along the way that only some discover. One of these treasures is a tiny turn off the highway that takes you to a deserted white waterfall. 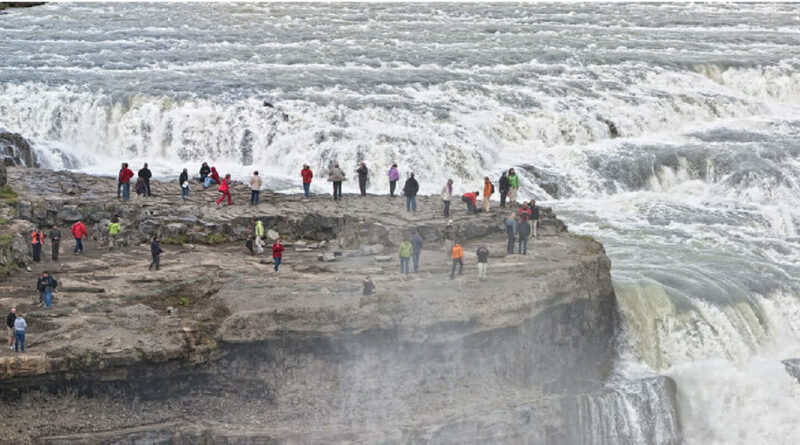 This is Þórufoss, and if you find it, it’s likely that you’ll be the only person here. It’s a place of solitude and beauty, and perfect for a picnic breakfast. 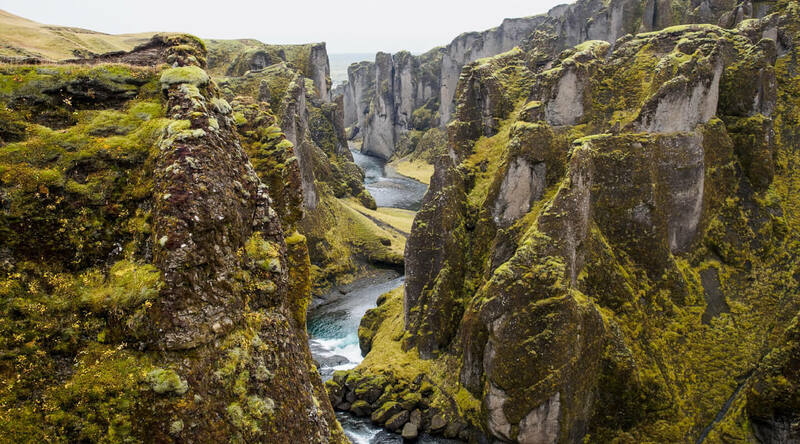 The next stop is Þingvellir, the site where the continent’s tectonic plates meet. This is where the ancient Icelandic parliament has gathered for centuries. You can see the rock from which the Icelandic law was first recited, and the cliffs that acted as natural amplifiers for the laws spoken. An Icelandic flag flutters in the wind. In this place, you can almost feel the history seep in through the soles of your shoes. 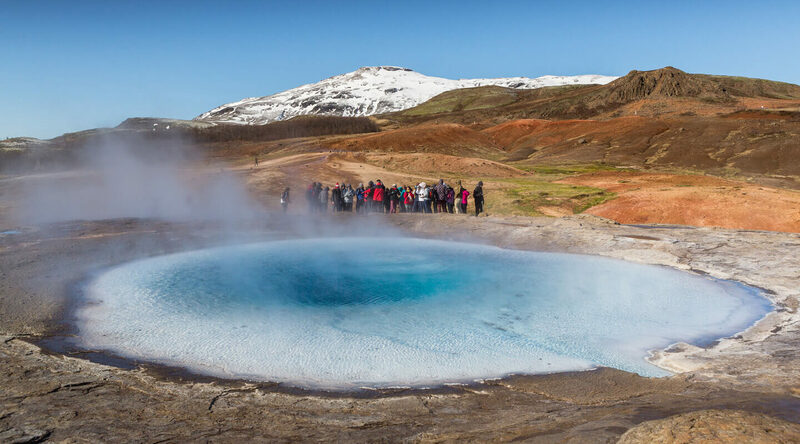 En route to the famous spouting hot springs of Geysir, you can stop at Laugarvatn Fontana, a hidden spa in a little town with a panoramic view. 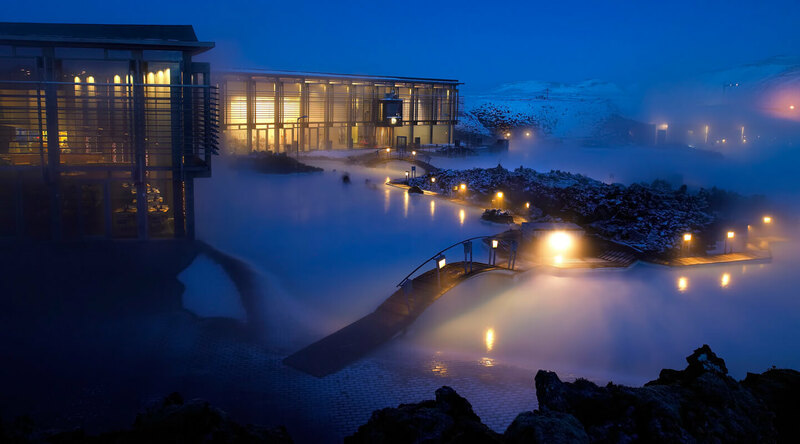 The hot -water pools have an icy lake right beside them, so you can shift from one to the other, revelling in the contrasting temperatures. Of course you cannot miss Geysir – when the hot springs spout, you’ll understand why it’s so famous. But there’s more to see, and even more to eat- like home-churned salted caramel ice-cream at Efsti-dalur, a small family-run farm off the beaten track. Keep going. A small detour, a walk over a little bridge and along a path will bring you to the Brúarfoss waterfalls, a surreal place where striking blue waters rush over black lava rock. Further on, there’s a secret lagoon to explore, followed by a hidden crater surrounded by a riot of colour. And we’re still not done. There’s a feast to be had at a farm restaurant, where you pluck basil from the plant on your table to season your incredible tomato soup. There’s a geothermal pool that sounds like it has been named after an elf from the Lord of the Rings series for you to soak in. There’s Gullfoss, the waterfall that turns into a stream of molten gold when the sun catches it, turning it into one of the natural wonders of the world. The road goes on and on, full of hidden wonders. And now you know where to look.